Aspen Airways was founded in 1952 by Walter Paepcke, as the flight department of the Aspen Institute of Humanistic Studies. It was created to fly personnel between Aspen (ASE) and Denver (DEN). 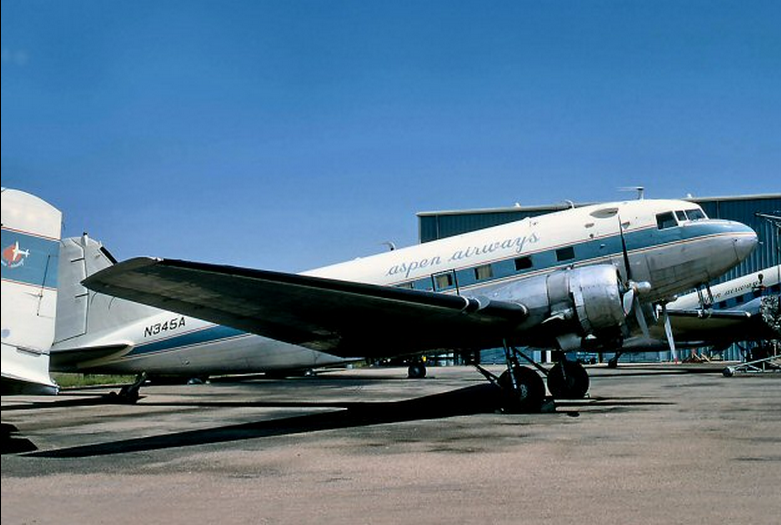 The airline's first aircraft were surplus Douglas DC-3s. Aspen Airways was named after the aspen tree and not the town of Aspen, Colorado where it was originally based before moving its headquarters to Stapleton International Airport (DEN) in Aurora, which was a comparatively small town at the time located outside of Denver, Colorado. In 1963, Aspen Airways was purchased by J.W. "Bill" Ringsby. During the late 1960s, Aspen operated a Convair 240 prop aircraft leased from Alaska Airlines and by 1970 was operating four Convair 340/Convair 440 prop airliners which were purchased used from Delta Air Lines. In the early 1970s, Aspen began operating Convair 580 turboprop aircraft. The twin engine CV-580 propjet became the workhorse of the Aspen fleet. Other aircraft operated by Aspen Airways in the 1960s included a Fairchild F-27 turboprop (which didn't work out very well in the high density altitude conditions that can occur at high elevation mountain airfields), and piston and turboprop variants of the de Havilland Heron as well as Piper Navajo and Aero Commander 500B aircraft. In 1985, Aspen Airways acquired new British Aerospace BAe 146-100 four engine jetliners which featured quiet technology with regard to engine noise as well as short takeoff and landing performance and began operating the first commercial jet airliner service into Aspen. It also inaugurated BAe 146 jet service from Denver to Amarillo (AMA) and Lubbock (LBB). The BAe 146-100 is the smallest member of the British Aerospace 146 family of jetliners, many of which currently remain in operation in Europe as well as other parts of the world although not in the U.S. except in aerial fire fighting roles as converted air tankers. In September 1985, Aspen Airways became a United Express affiliate carrier, providing passenger feed to and from the United Airlines hub in Denver (DEN). By 1986, Aspen Airways was providing seasonal BAe 146 jet service from Aspen nonstop to Dallas/Ft Worth (DFW), Los Angeles (LAX), San Francisco (SFO), Houston (IAH), Chicago (ORD) and Long Beach (LGB). 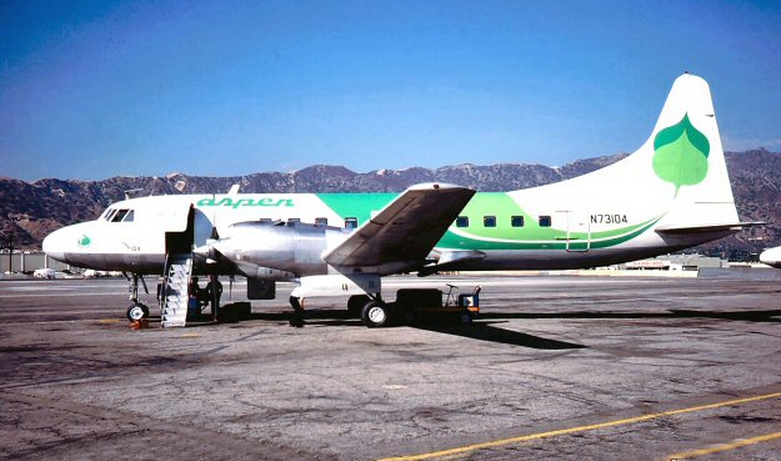 Aspen Airways also provided scheduled passenger airline service at Lake Tahoe Airport (TVL) located in the Sierra Nevada Mountains of California at one point. Convair 580 turboprops were flown on nonstop services to Burbank (BUR), Los Angeles (LAX), San Francisco (SFO) and San Jose (SJC) in California. 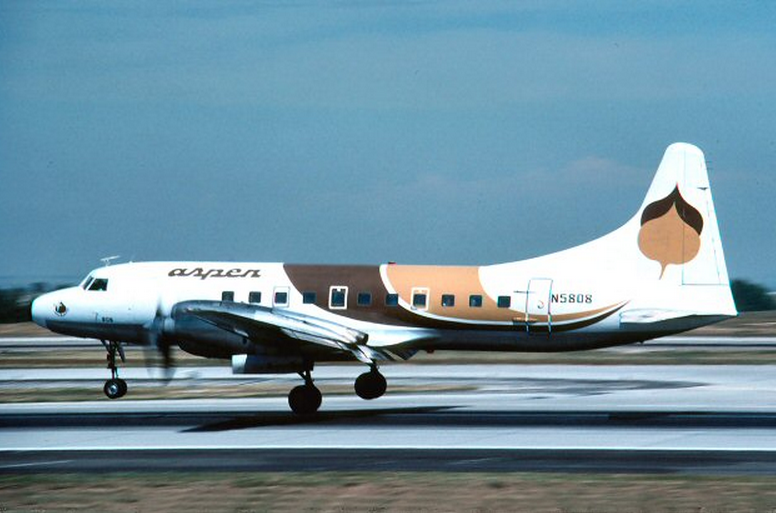 At the same time, Aspen was also operating Convair 580 service between Los Angeles and Bakersfield (BFL). 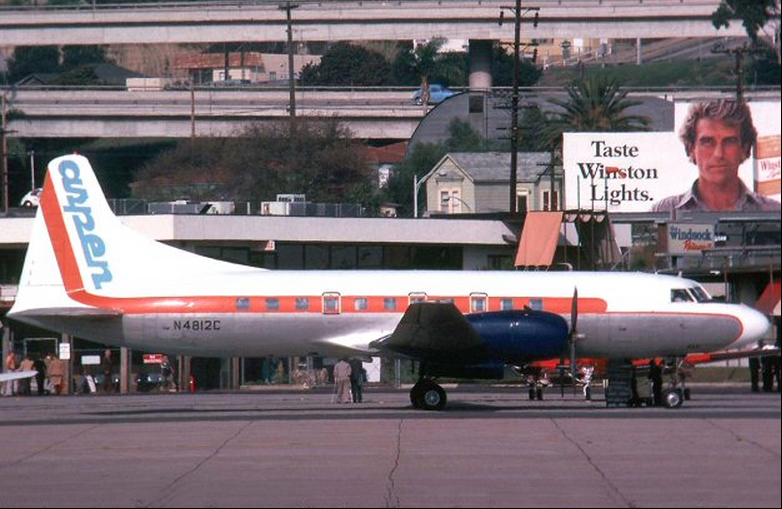 The airline even offered Convair 580 flights on the very short hop between Los Angeles International Airport and Burbank Airport as an extension of the Lake Tahoe service. The front cover of the September 1, 1980 system timetable for Aspen Airways had the message: "Specializing in service to.....Lake Tahoe, California & Aspen/Snowmass, Colorado." 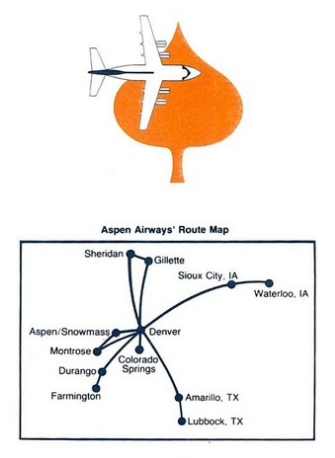 Other destinations served by Aspen Airways from Denver included Sioux Falls and Waterloo in Iowa as well as Sheridan and Gillette in Wyoming. Service from Denver also included flights to Colorado Springs, Durango, Gunnison and Montrose in Colorado as well as to Farmington, New Mexico. The airline also operated nonstop service at one point between Aspen and Salt Lake City (SLC). In 1989, Aspen offered itself up for sale. Several suitors attempted to purchase the airline. Its employees attempted to acquire the airline, but were unable to come up with the capital. Next, the Giant Group, a conglomeration of cement and recycling companies, offered to purchase the airline, but their offer fell through. In the end, Mesa Airlines acquired Aspen's Denver hub and routes except for the Denver to Aspen route, stations and ground equipment. Air Wisconsin Services Inc., the parent company for Air Wisconsin acquired all of Aspen's common stock, its Aspen routes, and its BAe 146 and Convair 580 aircraft. At the time of the separate sale and merger, Aspen Airways operated four BAe 146 jets and ten Convair 580 turboprops. The Convair 580 turboprops were parked and eventually sold while Air Wisconsin continued to fly the BAe 146 jet aircraft as this regional carrier already operated the BAe 146 in their fleet. 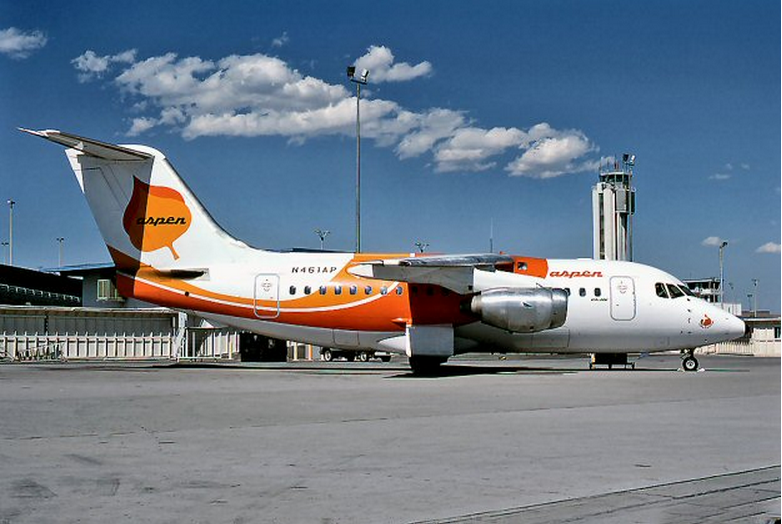 Mesa lost its United Express status in the late 1990s and then regained it several years later following a litigation settlement. 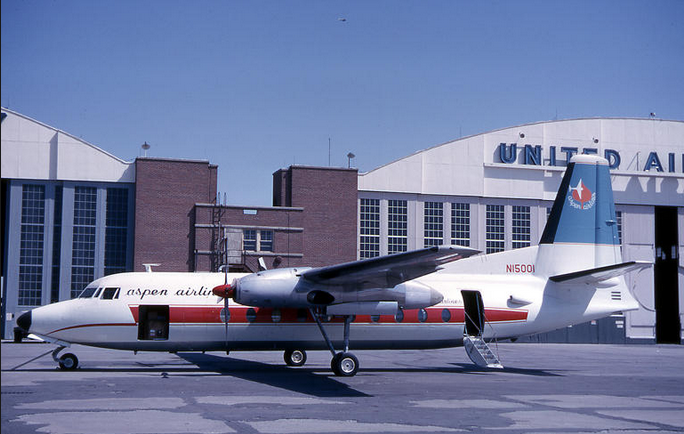 Air Wisconsin, the original United Express carrier and Aspen Airways' merger partner, lost its United Express partnership contract following protracted negotiations with United Airlines. The United Express routes from Denver and other cities to Aspen are currently flown by SkyWest Airlines with Canadair CRJ-700 regional jets. These United Express aircraft feature United First Class, United's Economy Plus, and United Economy Class with a total of 66 seats. The SkyWest CRJ-700 aircraft provide nonstop jet service on behalf of United from Aspen year round to Denver and also on a seasonal basis nonstop to Houston, Chicago, Los Angeles and San Francisco. American Eagle also operates the Canadair CRJ-700 regional jet from Aspen on behalf of American Airlines with seasonal nonstop flights to Dallas/Ft. Worth and Los Angeles. The last of the BAe 146 aircraft that pioneered scheduled passenger jet service into Aspen in the mid-1980s was retired in 2006.